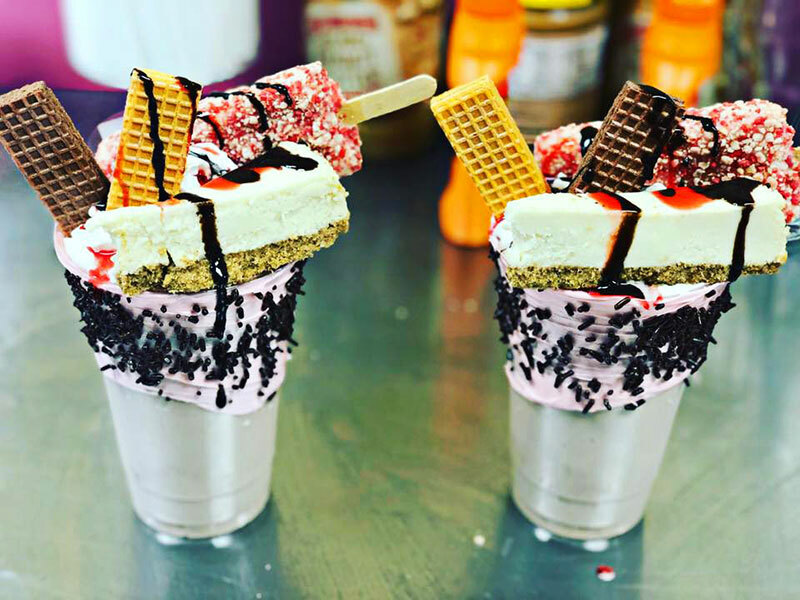 Bakery and soul food joint turns heads with Freak Shakes. It’s almost unfair to call Get Your Cake Up a bakery, or a soul food diner, or even a dessert shop. It is, in fact, all three of those things, though I guess the only way to describe it faithfully would be to call it an experience. It’s an overwhelmingly pleasant experience – one that welcomes a degree of whimsy and requires a hearty nervous system capable of sustaining momentary sensory overload – in a good way, of course. It’s almost like having lunch inside a Saturday morning cartoon. From the moment you walk in, you’re greeted with splashes of festive colors. 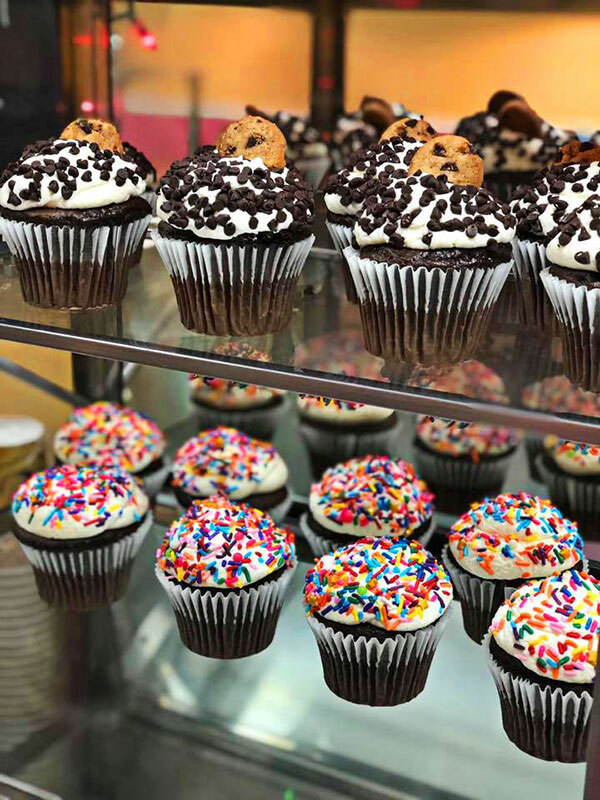 Your eyes bounce from exquisitely decorated cupcakes, macarons and cookies in the bakery case to the pastel palette of the Art Deco diner booths. Every element of the décor is light and fun, inviting you to let go and release a little stress. At Get Your Cake Up you can feel like a kid again. It’s OK. No one’s watching. The senses are under siege. And while the playful pops of color carry on through the stools at the counter and the bright yellow walls, it’s the nose that faces the next onslaught. First, it’s the warm sugary smell of the icing and the delicate cakes that grab your attention. Butter, sugar and chocolate swirl in the air, elevating whatever mood you brought in with you. Then, there’s this transition to more savory delights. Slow-cooked barbecue chicken signals its presence from the kitchen. And, I’m not even sure it’s possible, but I think you can actually smell creaminess. Yes, it’s mac and cheese, and that’s definitely creaminess I smell. Grab a seat. It’s time to let the taste buds join this party. If you’re partial to sweet, you’re in the right place. The bakery alone will take care of that, but throw in a Freak Shake (which we’ll get to in a minute) and you’re in heaven. If savory is more your thing, they’ve got you covered. You can always get grill items like burgers, cheesesteaks and chicken tenders. But you have to look out for those soul food specials. From BBQ and fried chicken to meatloaf and all the classic sides, these folks know what makes hungry people happy. 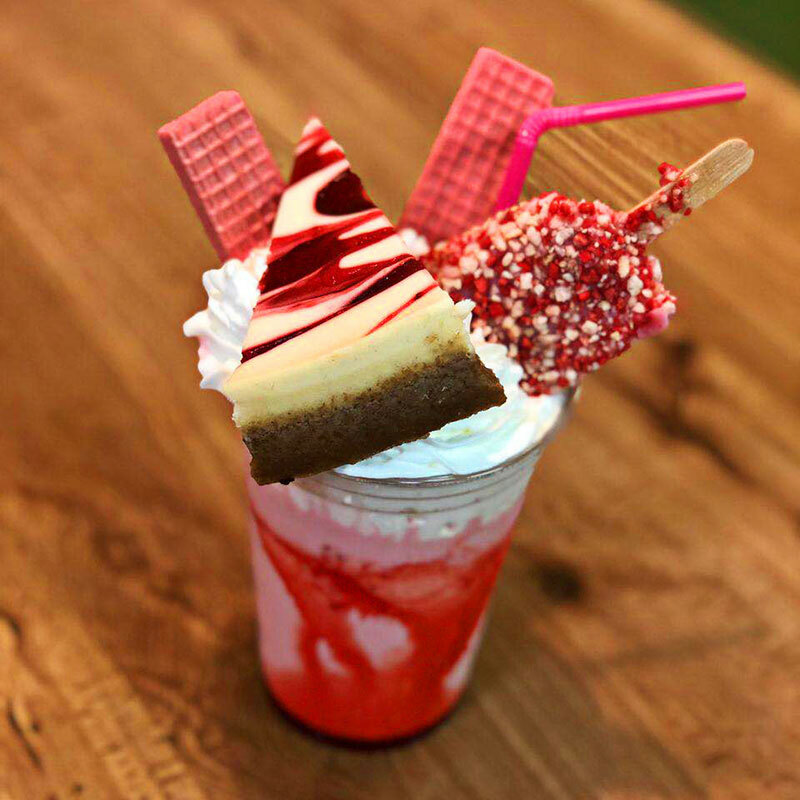 If Dr. Frankenstein and Willy Wonka teamed up to create a dessert, you’d be left with something like the Freak Shake. 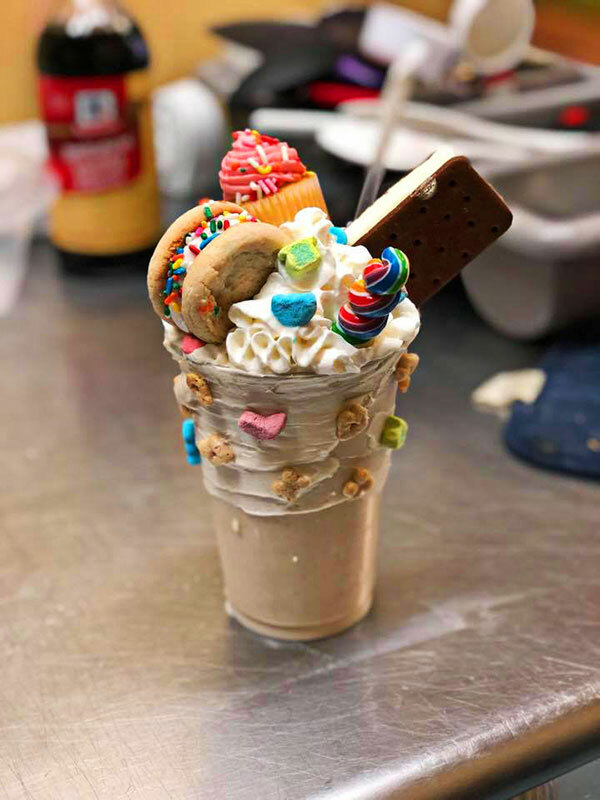 It’s part innocent little milkshake, and part monstrosity from the murky depths of a happy, sugary swamp on the wrong side of the licorice tracks in Candy Land. Even the plastic cup isn’t spared as it’s wrapped with cake icing and sprinkles. The delicately pulverized ice cream inside the cup is creamy and delicious. Getting to it, however, requires a fearless determination and relentless hunger for sweet things. Think of it as your moment. You’ve trained your whole life to face a dessert like this. Some are topped with cheesecake and popsicles. Others nearly buckle under the weight of whipped cream, cookies and yes, maybe even an ice cream sandwich. Now that I think of it, you may want to split this one with a friend. It’s alright. Even Batman eventually had to get a sidekick. Truthfully, these Freak Shakes are absolutely, incredibly ridiculous. They’re also wonderful and fun and delicious. 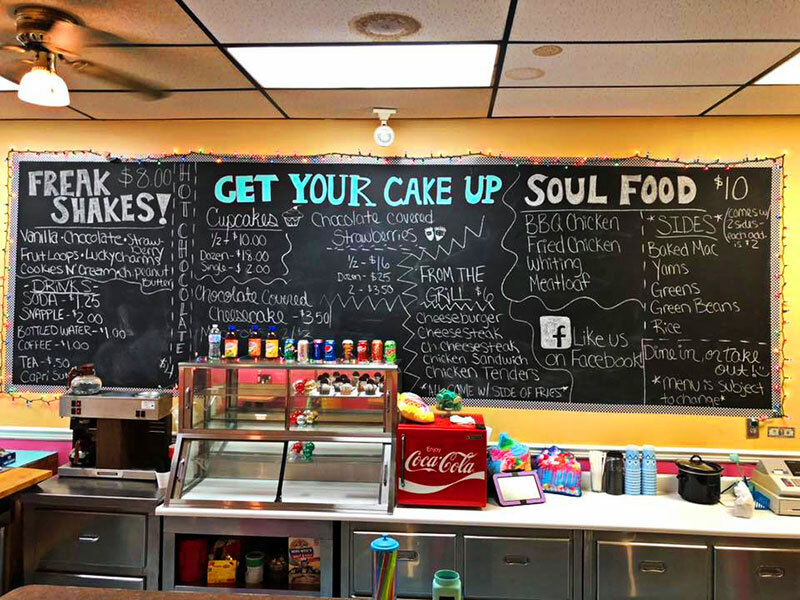 And I happen to know they’re also the real reason you’re planning a trip to Edwardsville to check out Get Your Cake Up. Go ahead. Live a little. DiscoverNEPA Brewer’s Loop: Wallenpaupack Brewing Co.